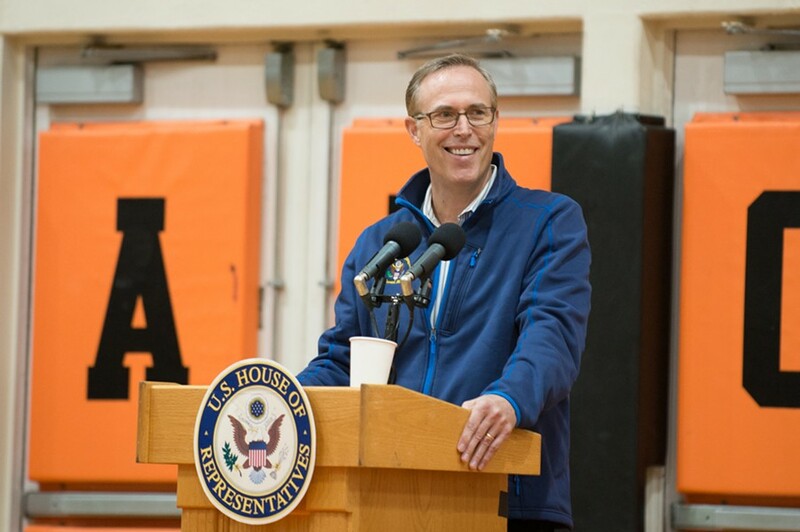 Huffman shares a laugh with his constituents during a town hall in Arcata. Congressman Jared Huffman will host another stop in his town hall series on Monday, this time in Crescent City, where he will take questions and talk about his priorities for representing the North Coast region in Congress. According to his office, interested constituents are being asked to RSVP by visiting this Eventbrite website. A similar Arcata event held in February was moved to a larger venue when a resounding number of residents signed up over a 48-hour period. One topic that Huffman expects to be asked about is the future of Last Chance Grade, a 3-mile section of failing roadway just south of Crescent City. In an interview last week, the San Rafael Democrat said he believes a March slipout that took out 10 feet of the roadway “really brought a lot of focus to Last Chance Grade” on the part of federal officials and “a new sense of urgency” for finding a solution. To read more about the complex issues surrounding Last Chance Grade, read this week’s cover story here. Huffman’s town hall will take place at the Crescent Elk Middle School auditorium from 5:15 p.m. to 6:45 p.m.